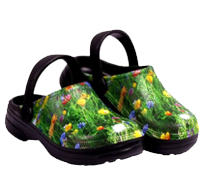 Delivery :: Backdoorshoes...100% waterproof gardening shoes, lots of stylish designs and very comfortable to wear! 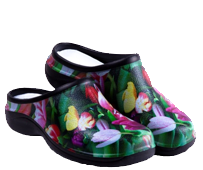 We deliver our lightweight gardening shoes direct from our North American Logistics Centre in North Carolina, USA. 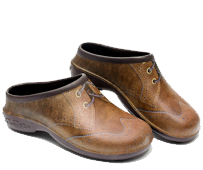 Delivery time from the warehouse varies, but we aim to ship your shoes within 24 hours of your order so most orders will be received at the destination within 3 working days but do allow up to 7 days. You'll also notice the more pairs you buy, the more you save: buy 5 pairs and get the 6th pair free! 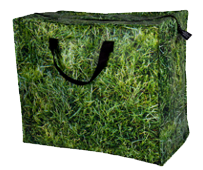 We ask that when required, customers pay their own return postage costs.We will then either issue a refund if requested or post free again to exchange a size.In reality the sizing is accurate and many customers if they do slip up on sizing choose to gift to a friend and order again. This saves on postage all round.